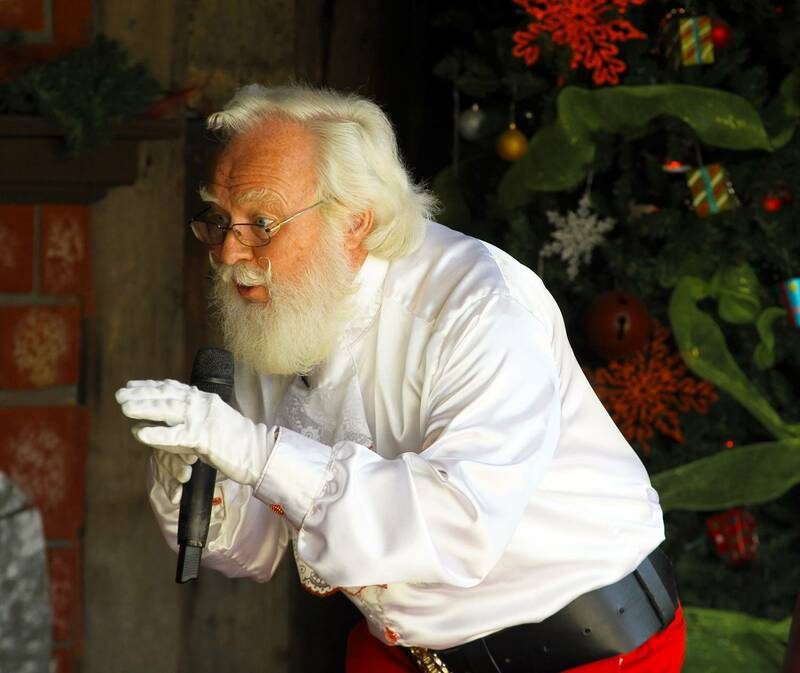 Nestled beneath the pine trees just off Christmas Plaza, catch Santa Claus in his cozy Storytime Theater as he reads stories and sings Christmas songs with children of all ages. 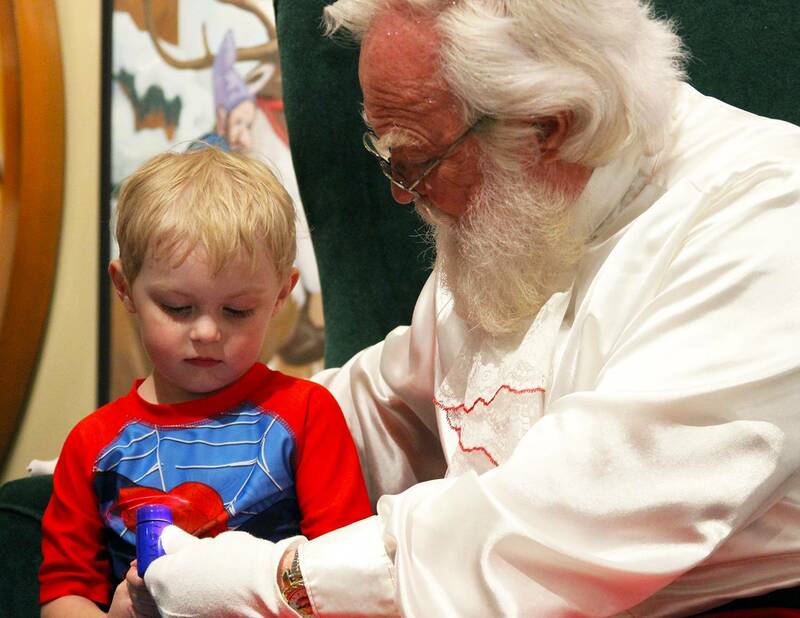 Children are invited to sit on stage with Santa during this heartwarming and interactive storytime. 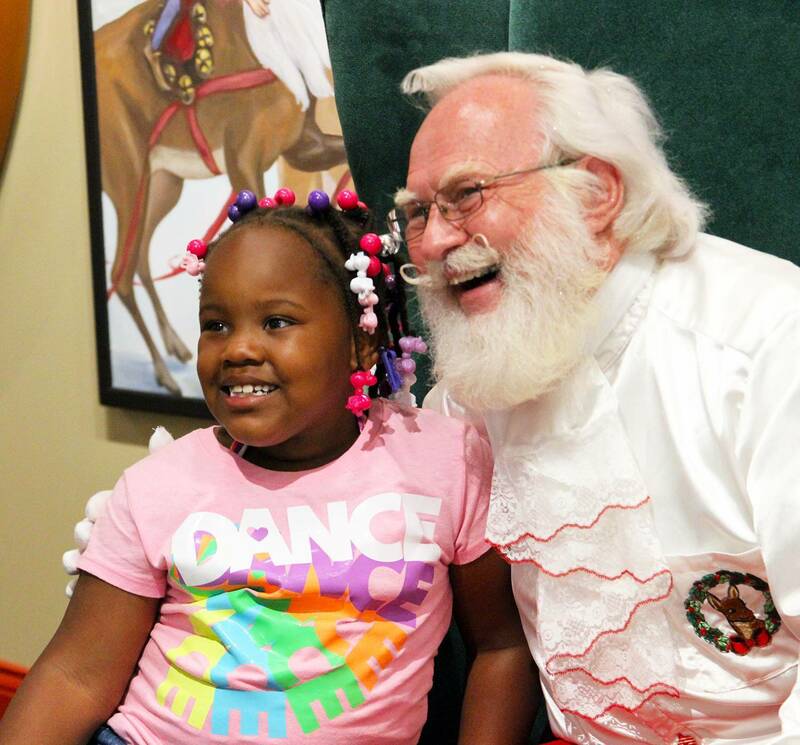 After the show, there is time to visit with jolly Santa, plus opportunities for special photos. 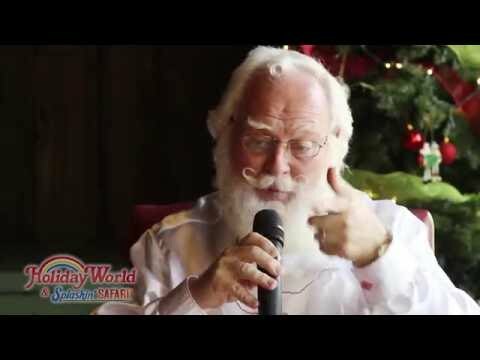 Santa sings Jingle Bells and Rudolph the Red-Nosed Reindeer with the children. It might be fun to practice singing with them ahead of time. Santa will read a Christmas story to the children. Some of them get a little wiggly, but they do try to listen. Some children are a bit cautious about meeting Santa; just give them a little time and let them decide when they’re ready. Santa invites children to sit up with him on stage; they don’t have to, though, if they’d rather sit in the audience with the rest of their family. 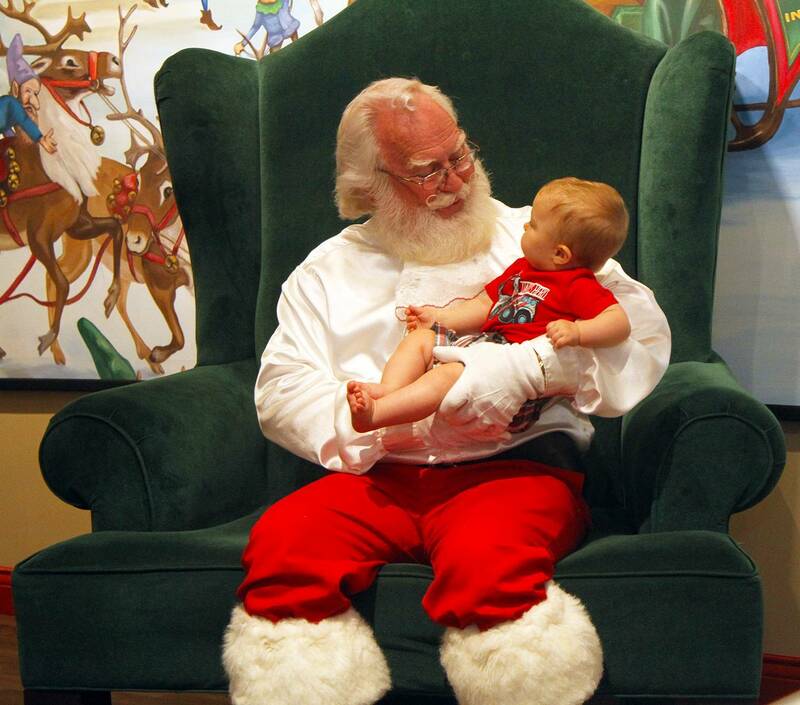 Be sure to stop by St. Nick’s Trading Company to visit Santa in his comfy green chair! Enjoy Your family, your friends, your toys, your pets. Appreciate The beautiful sky, the sun and the moon. Help Clear your dishes, pick up your room, brush your teeth. Share Your toys, your treats, your friendship, your love. Love A hug and “I love you” from a child? There’s nothing more wonderful in this world!